Effective retention marketing targets customers based on their lifecycle stage. Marsello segments your customers based on RFM analysis – an industry renowned calculation based on customers’ purchase recency, frequency, and monetary spend. Say thanks to make a great first impression and bring New customers back a second time with a First-Time Email. 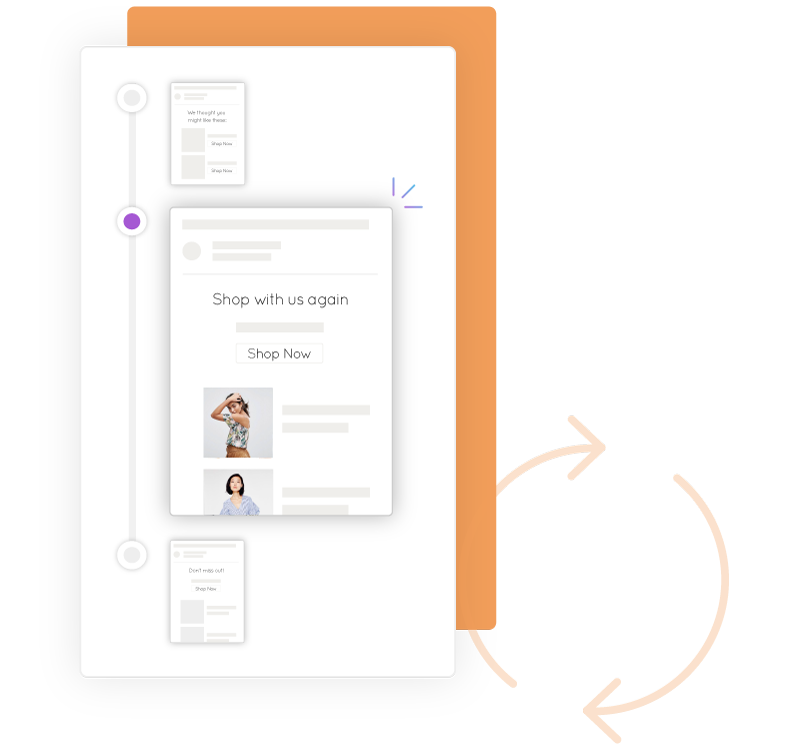 Automate an email flow that encourages your Best customers to keep shopping. If product recommendations in the first email doesn’t motivate a purchase, automatically follow it up with an exclusive discount just for them. A cheerful Happy Birthday message or offer designed to delight your customers will get them shopping and help move them to the next lifestage segment. Also motivates Lost, At Risk, Window Shoppers, New, Promising, and Best customers. Bring back At Risk customers with an automated email flow designed to win them back. If product recommendations in the first email doesn’t motivate a purchase, automatically follow up with a limited time discount email. Automate great looking abandoned cart emails to your Abandoned Shoppers. Pull through product images from their cart and a button to take them back to complete their order. Motivate customers to keep shopping with you. Create a custom loyalty program that automatically rewards loyalty points for spend, product reviews, social media engagement and more. Also motivates Window Shoppers, New, Loyal, and Best customers. Look after your Best customers and keep them for life with VIP tiers that help them earn points faster to unlock exclusive rewards. Acquire new customers with a referral program. Incentivize loyal customers to refer their friends to shop at your store then automatically reward loyalty points when their friends make their first purchase. Measure customer satisfaction and collect private customer feedback. Turn unhappy customers around by responding with a personal message or offering loyalty points to prevent them turning into Lost customers. 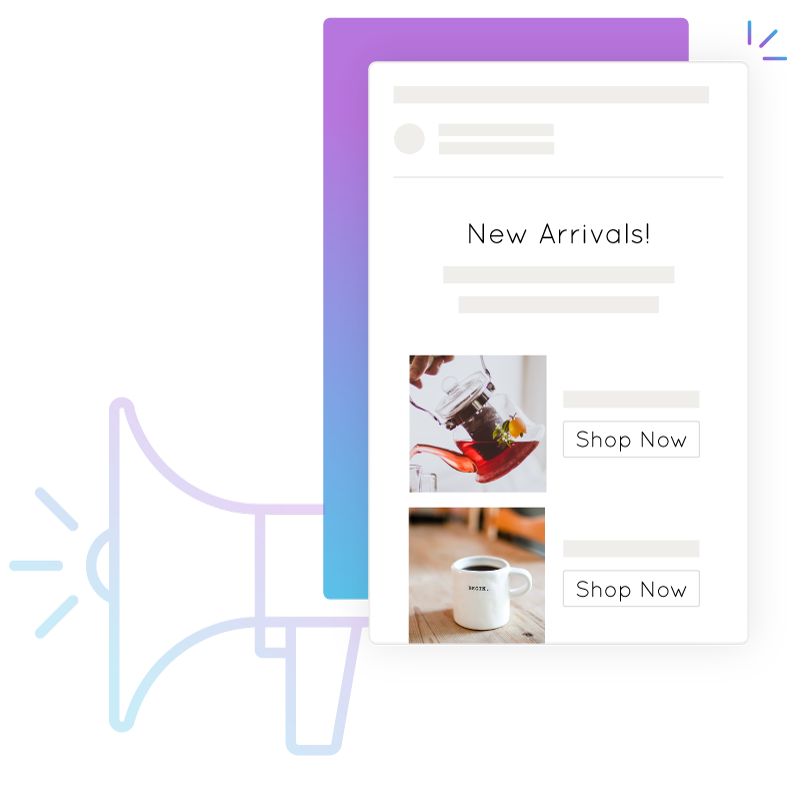 Drive sales with newsletters, promotions, and new stock emails to your entire database or to a certain customer segment. Create campaigns with an easy-to-use builder. Personalize with product recommendations, loyalty program status, and merge tags.